After much thought and debate, you and your household have decided it is time to get another pet. This is all good and fine, but you are concerned with how your JRT might react. Although thinking the whole situation through, and heeding your initial concern is a good practice, do take comfort in the fact that the addition to the household is a doable thing. As long as it is handled properly, the introduction of another pet into your family dynamic should go smoothly. First off, it is essential to remember that if your JRT has been your only pet for a while, then they will suffer from the “only child” syndrome. Most especially the part where they have always gotten the attention of the household, something they are not going to like giving up, nor give up without a fight. This is usually the main cause of dissention between the current pet, your JRT, and any new pet you may bring into the household, as well as probably the toughest problem to overcome. When preparing your JRT for the new family addition, it is imperative to keep in mind that the method for introduction of the new pet will differ according to the type of pet. For example, introducing another canine into the home will differ greatly from introducing, say, a feline. There are different things to take into consideration for each one. In this post will look at the methods involved, based on species, and hopefully find something that will work for you. 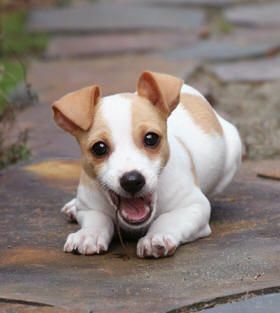 If you are introducing another canine into the household dynamic, then you will want to seriously consider introducing a canine of an opposing gender, especially if the JRT you currently have is of the aggressive nature. Two aggressive natured canines in one household will assuredly set you and up for problems if not failure. Also keep in mind that two female JRT’s in the same household can result in the same aggression problems. This writer can speak to this from experience, as my senior female JRT’s, when they hit about seven years old, became so aggressive towards one another, that I have to keep them caged, and only allow one out at a given time. If not, the hostility ensues, and most assuredly blood is drawn. So, please consider the aggression factor first and foremost in your decision making. As with humans, first impressions play a major role in how well one canine will get along with another. When introducing a JRT to a possible new family member for the first time, it is best that this be done with both parties under control. By this I mean have both the perspective family member on a loose leash, as well as your JRT. This is so YOU can maintain control of the situation, and if things start to go south, will have a means to separate the two. Once you are satisfied with how they initially react to one another, then you may take them off leash, and place them in a controlled, monitored area. This will allow them more freedom to move around and get to know each other better. Still keeps an eye on them for any signs that there may be a problem occurring. Keep in mind that up to this point your JRT has been the “baby” of the family. They have been the one to get all the attention, loving, and play time. It is naturally going to upset them to think that another “thing” will be coming into their perfect life, and totally blowing it to smithereens (I imagine that is how it feels to them anyways). So, keeping that in mind it is imperative that when you are introducing your JRT to the new family member, that you do NOT shower the new canine with excessive attention. Do not hold, love on, or make over the new canine, as this will just set the whole situation up for possibly a life-long resentment on your JRT’s part. Give both canines each attention, at the same time, and they will know that they are both loved and appreciated in the household. It is also a good idea, the first few weeks after the new additions arrival that both your JRT and the new family member are fed separately. This will ensure that there are not squabbles over food that could turn into big ugly fights that could then turn into a life-long problem. Again, been there, done that, and still dealing with it today. After a few weeks their food bowls can be brought closer together as long as feeding time is supervised. That way, if there appears to be a problem arising, you can nip it in the bud. Also remember to keep your JRT and the new addition apart when playing with toys and chews. Some of the biggest fights your JRT will have with another canine will most assuredly be over two things: food and toys--hands down. Here is a little trick that I did not know of, or even think about, that can be very useful. When your JRT and the new addition are in the same room, and the JRT is friendly and agreeable as well as behaves with the other canine, reward your JRT. But, when the new addition leaves the room, take the reward away from your JRT. Then again, when the new addition comes back into the room, and the JRT behaves, reward your JRT again. This process of give and take will eventually instill in your JRT that when the new addition is around, good things happen. And when the new addition leaves, well not so good things happen. After a while, your JRT will begin to associate the good things with the new addition, which will in turn keep your JRT amicable towards them. 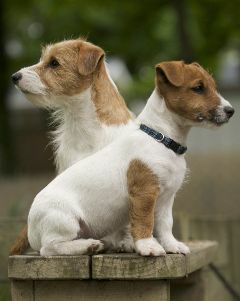 Finally, take both your JRT and the new addition on walks together. Allow them ample leash to walk side by side, to sniff and explore together, and to just generally enjoy their time together. Maybe take them to a dog park, and let them run and play together, or if you need to do some training lessons, let them both participate. Allowing to do these types of activities together will allow them to bond, and in the end, will make your and that of the rest of the household much more peaceful. The main thing to keep in mind when considering introducing a cat, or kitten, into the household dynamic is that JRT’s were bred to be hunters. They are hard-wired to stalk, hunt, and obtain their prey, which usually includes animals smaller than them, such as kittens. So with that in mind, lets take a look at some the methods to properly introduce your JRT to their new house mate, shall we? As with introducing another canine into the home, when introducing a feline you will have to be both patient and diligent. 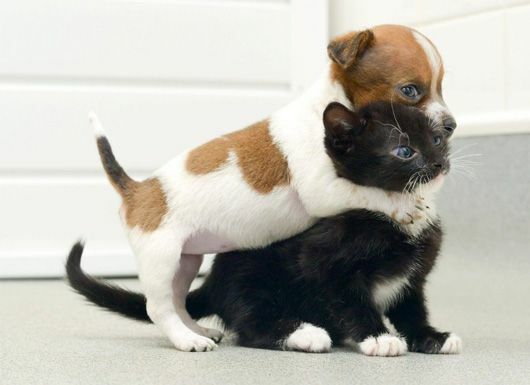 The best case scenario is that you get your JRT when it is a puppy, and your feline when it is kitten, so that they may grow up together. As younger versions of themselves, they will have the opportunity to bond before the instincts of each of their species begin to take over. If that is not an option, then the following ideas may be of help. When you bring your cat/kitten home for the first time, the best idea is to place it in a cage, and place the cage on a table. Cats are naturally more comfortable and secure feeling in high places, and with your new family member on a table in a cage, they will have an easier time acclimating to the new situation. Also, this will give your JRT time to take notice of the new resident, adjust to the smell and sounds that it makes without unnecessarily cause a ruckous. After a few weeks of the “introductory phase”, it is now time to let them meet face to face. This is where the patience and diligence really comes into play. It is best to keep your JRT on a leash, the feline in a cage or even use a child gate to separate them. The main idea here is to keep the entire situation under YOUR complete control. Do not give your JRT so much leeway that they can lunge at the cat/kitten, because that will just put you back at square one. Move slowly at this stage, so that you may notice any signs of fear or defensiveness on the part of the feline. Keep in mind, there will some initial fear that is only in their nature. A good idea is to have some of your JRT’s treats nearby. When your JRT moves towards the feline, but in a curious but none aggressive manner, make sure to treat them. This is reinforcing that the cat/kitten is a good thing, with the possibility of treats to follow. But, if your JRT barks, lunges or growls, or the cat/kitten hisses and tries to scratch, end the interaction and separate them once again. It will take longer than just a few days, in most cases, and you will keep repeating this interaction until neither your JRT or the cat/kitten shows any signs of hostility or anger towards the other. Once you have been successful with the previous steps, it is now time to let them meet nose to nose. 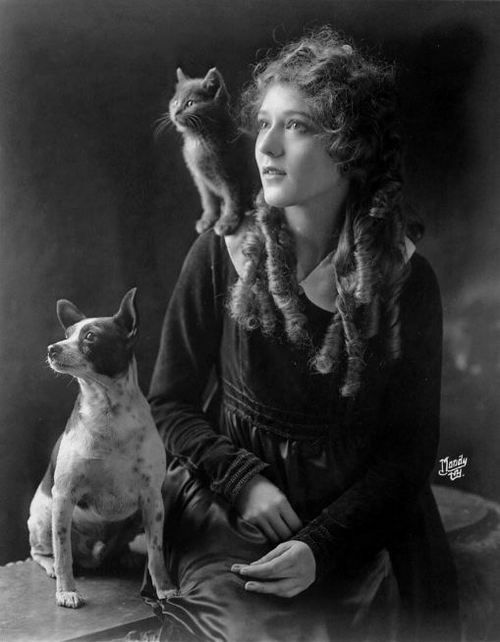 In the natural wild, canines and felines use their noses to get to know one another. As before, keep both your JRT and the cat/kitten on a leash, and let them explore slowly. Reward them both generously for good behavior, watch their body language closely and be prepared for the to occasionally lunge at one nother. Be patient and diligent, and eventually they will get along. This is not an overnight process, so take it nice and slow and all of you will benefit. 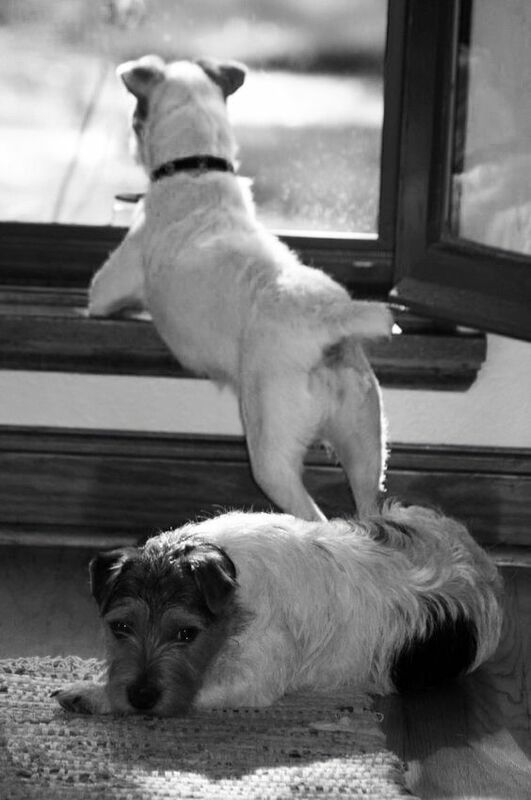 Remember that when you are not there to supervise, have your JRT and the cat/kitten put up away from each other. If you have a little patience and due diligence, your JRT can learn to live happily with any new addition you chose to make to the household. Everyone can learn to live in peace and harmony. 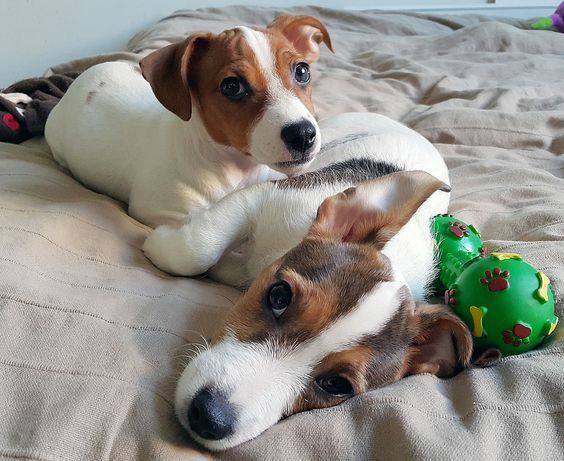 If you have a little patience and practive due diligence, your JRT can learn to live happily with any new addition you chose to make to the household. Everyone can learn to live in peace and harmony.